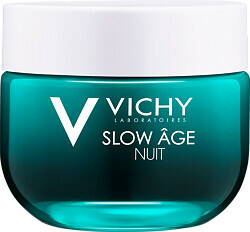 Accelerate the skin’s recovery process with the Vichy Slow Âge Night Fresh Cream & Mask, Vichy’s first night care that re-oxygenates skin suffocated by daily aggressors. 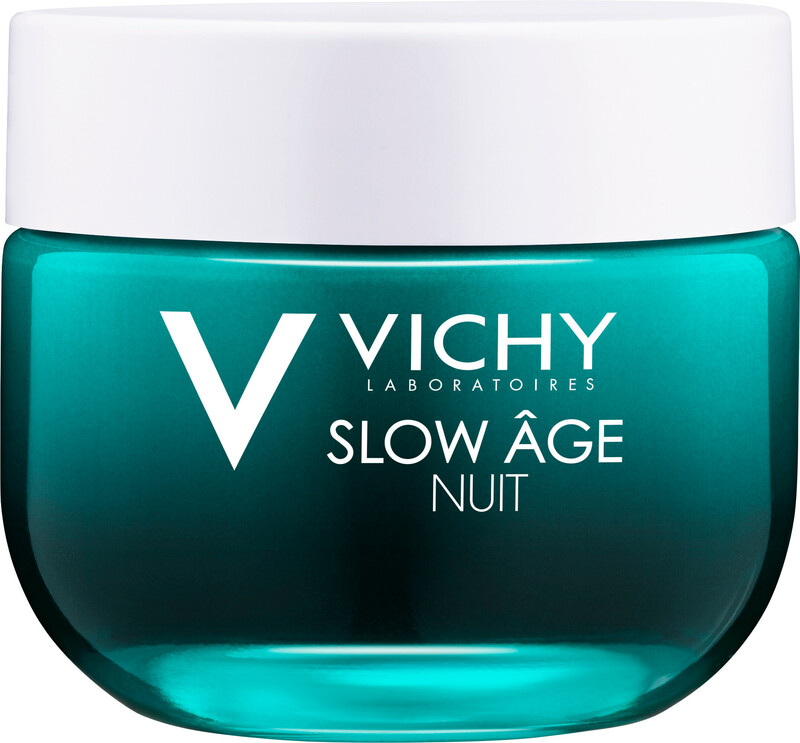 Designed to detoxify skin overnight, the Vichy Slow Âge Night Cream & Mask will ensure even sensitive skin types wake up to skin that is plump, unified and radiant. The gel-cream formula melts into skin upon application, caressing the complexion with pure resveratrol and antioxidant baicalin, a skin-plumping blend that improves the skin’s barrier renewal function whilst keeping your complexion optimally hydrated. 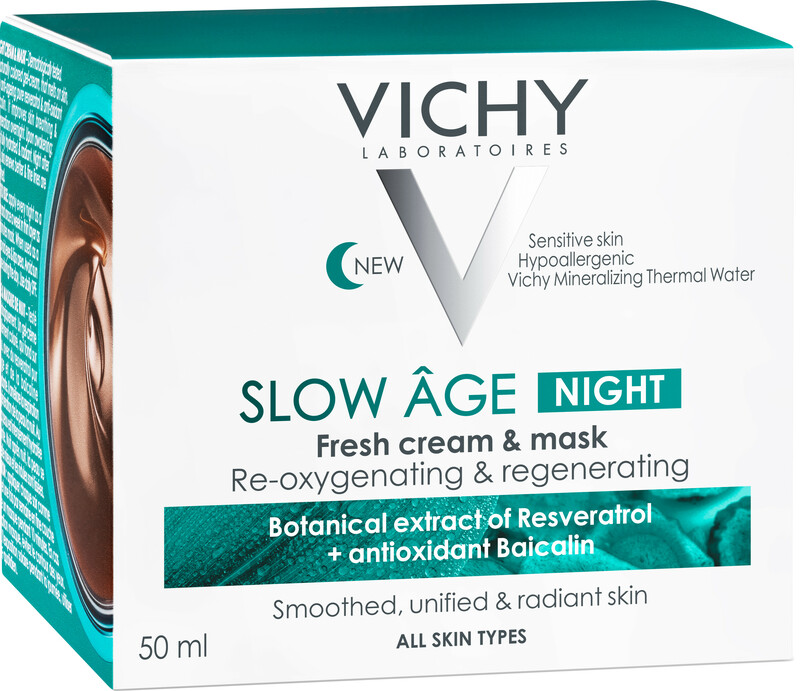 Night after night skin is visibly renewed and the appearance of fine lines is reduced for noticeably younger and healthier-looking skin day after day. Apply every night as a cream and once a week in a thin layer as a 10-minute mask. When used as a mask, avoid eye and lip area. 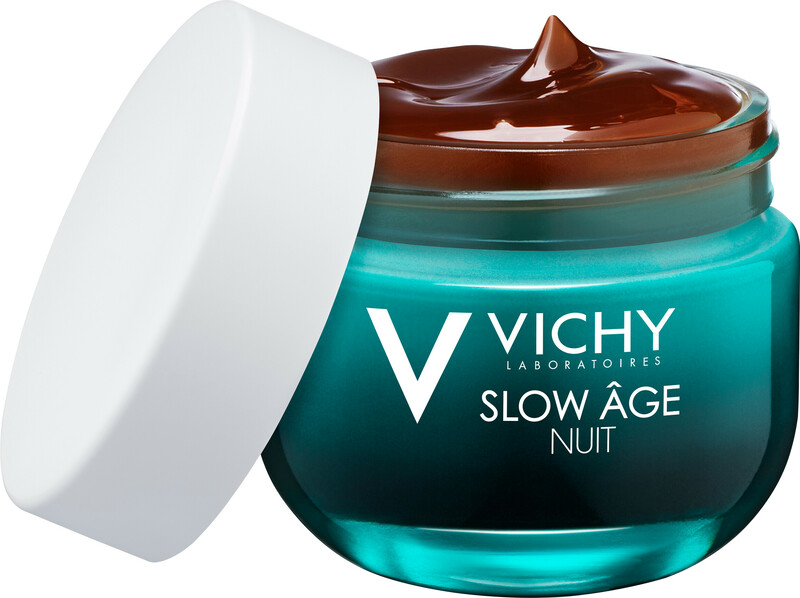 Vichy Slow Âge Night Fresh Cream & Mask 50ml is rated 4.0 out of 5 by 2. Rated 5 out of 5 by MissAnthropist from Weird texture but feels glorious! Luckily I watched a review video of this before buying it. The colour would have unnerved me. 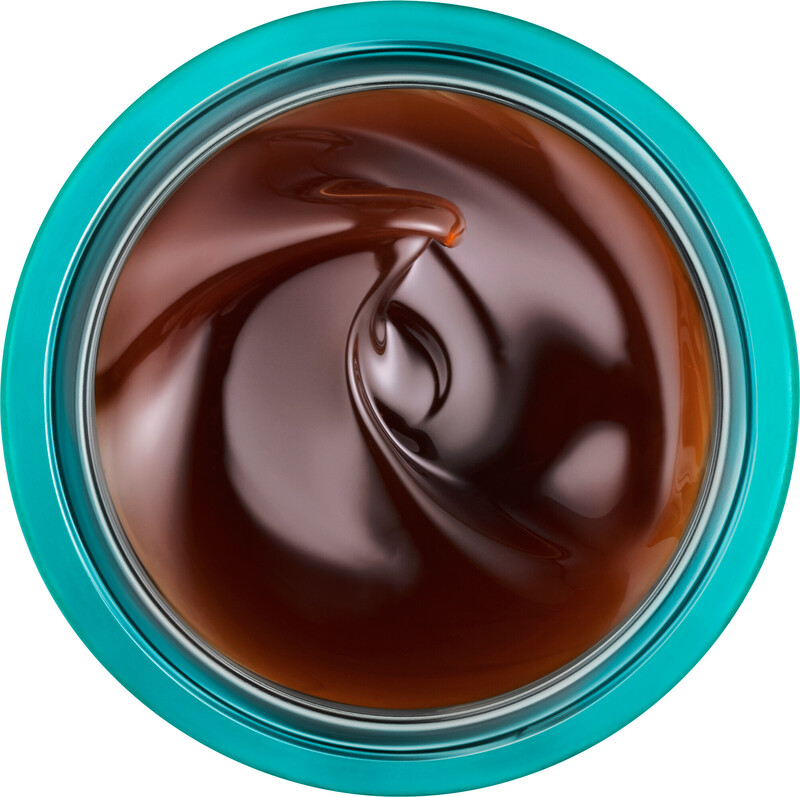 It's a brown gel but have no fear, it does not transfer colour to your skin. It's fresh, light, easily absorbed, smells lovely and clean and subtle, and seems to have improved my skin texture. Rated 3 out of 5 by Marjo from Mixed feelings I got a couple of small tubes from Vichy to try out so these are my impressions based on short term use. The texture is nice, quite a thick gel that absorbs fairly fast (if you don't use too much, otherwise it feels sticky for hours). The smell is very nice - a fresh "natural" fragrance that lingers. It's possible my skin looks a bit better in the morning, it may even be rehydrated, but unfortunately this product still stings quite a bit after 4 or 5 nights so I don't think this will be a suitable product for my dehydrated intolerant rosacea prone combination skin. If you don't have supertricky skin like I do, it's worth giving a try.